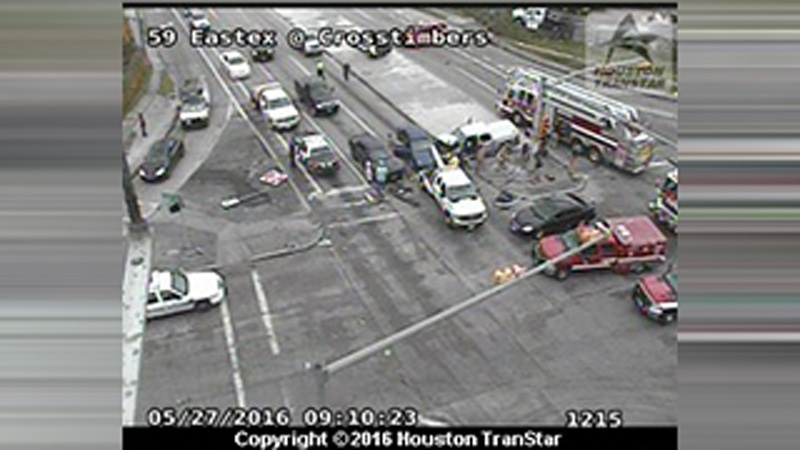 HOUSTON (KTRK) -- The Eastex Freeway feeder road southbound at Crosstimbers has been shut down due to a multi-vehicle accident. Officials say a driver is trapped in their vehicle after the crash involving four vehicles. Three frontage road lanes are closed while police investigate this accident. Emergency workers are on the scene checking on the other drivers involved in the crash. If you are traveling on the Eastex Freeway feeder, you will need to take Penn or Toliver Streets to Curry Road, take a left and travel past Crosstimbers until you are able to get back onto the frontage road.